Upper North Apartments, Waitara is a 5 storey, 81 Apartment building over 2 levels of carparking. It is located close to both Waitara and Hornsby train stations and within walking distance of Westfield Hornsby. The play of vertical and horizontal elements in its façade provides a well-balanced and contemporary design. 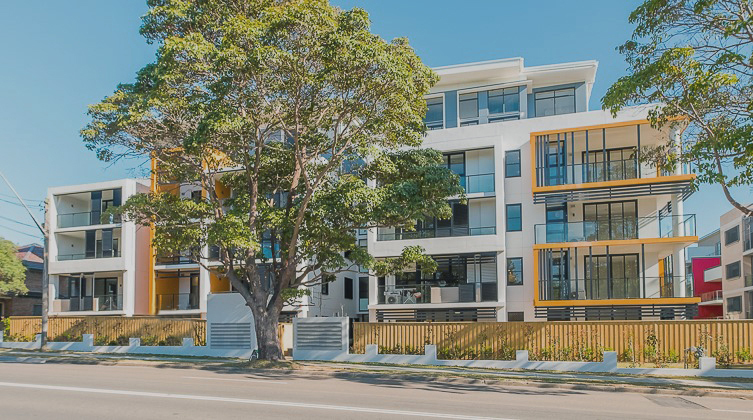 Builder: PBS Building (NSW) Pty. Ltd.